First, this dessert bread is incredibly easy to make. It will only take you about 10 minutes to mix together the ingredients and then it will bake for 60 minutes. The result is a soft and moist Zucchini Bread that will knock your socks off! 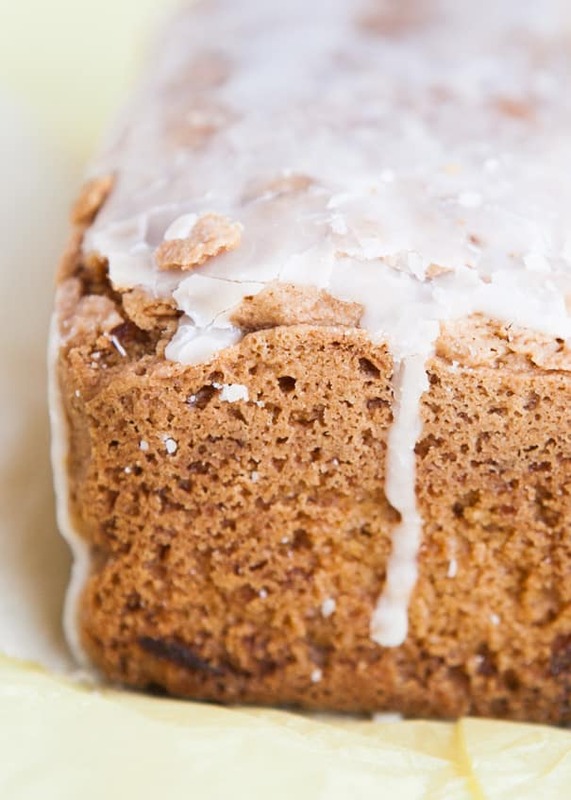 This Lemon Glazed Zucchini Bread is not overwhelming with zucchini or lemon either. If anything, they just enhance a already delicious bread recipe. I love that the zucchini adds small beautiful green specks to the bread! Grating zucchini is easy, all you need is a grater. Watch this quick video for full instructions on how to grate zucchini. The glaze on top is one of my all time favorites for breads and cookies. 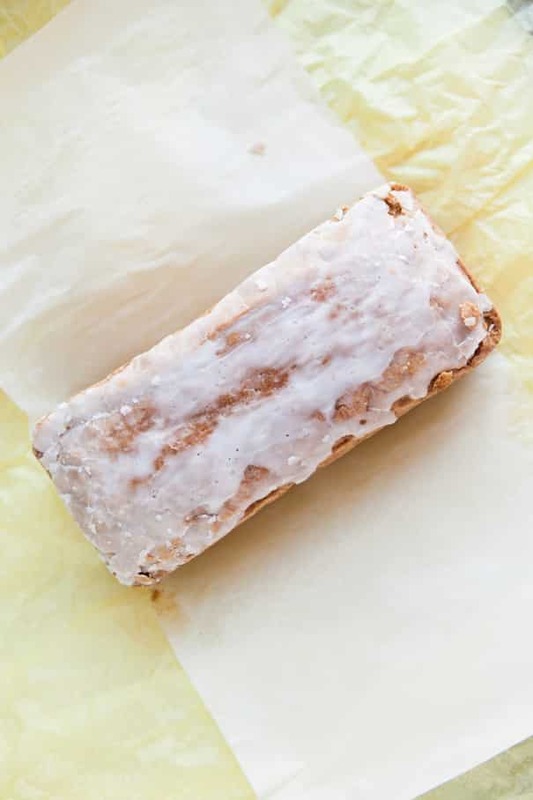 It’s a simple vanilla glaze made with powered sugar, lemon juice and a splash of milk. It pours onto the bread beautifully and gives it such a gorgeous look. I use this glaze all the time, including on my favorite Christmas Cookies. This is a perfect bread for breakfast, or dessert. It makes the ultimate treat for group get togethers, like pot lucks and church dinners. I’ve even had a reader tell me they entered it in a baking contest and won a prize! Basically what I’m saying is you need to try this bread! What to do with so much zucchini? Make this Zucchini Bread recipe! If you have too much zucchini in your garden right now, or you saw a good sale at the farmers market… or heck, you’re just in the mood for zucchini bread then please give this recipe a try! I think you’ll love it! If you have leftover zucchini, make my zucchini tots – they’re like veggie nuggets! Looking for more baking recipes that include vegetables? I have plenty! 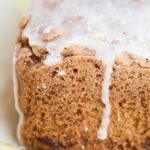 RECIPE for the BEST fluffy and moist Lemon Glazed Zucchini Bread! There's 2 cups of grated fresh zucchini baked into this easy to make beautiful bread. On top there's a lemon powdered sugar glaze which everyone will love! Preheat oven to 350 degrees. Grease two 8 1/2" loaf pans and line with parchment paper that extends a few inches above the rim on the long side of the pan. Grease the parchment paper..
With a mixer, beat the eggs, oil and sugar together. Add in the zucchini, vanilla and lemon extract and combine until incorporated. In a separate bowl stir together the dry ingredients. Add the dry ingredients to the wet ingredients until just moistened. Add powdered sugar, lemon juice and milk in a bowl. Stir until combined. Pour the glaze on top of the bread, letting it drizzle over the sides. Look delicious! Love a good zucchini bread, especially when there’s lemon glazed involved. YUM! I know Anne, I could eat that glaze with a spoon! Look awesome! Love the combination of lemon and zucchini! The lemon is such a great kick. Thanks for stopping by! Hope he enjoys it Davida! I love zucchini bread to begin with but that lemon glaze?? It’s so pretty! And that packaging too … I’m such a sucker for cute food packaging. Happy Monday!! Happy Monday Ashley! Thanks for stopping by! That last picture before the recipe is SO perfect. It literally makes me drool. Wish I could have that for breakfast this morning! I wish I could have it for breakfast every morning Jess! I <3 COURGETTE! It's so good on cheezy pizza, too! Have to try it that way too! That is too bad about your other swaps:( Its always disappointing when you spend a lot of time on yours and you get nothing back. But this bread! 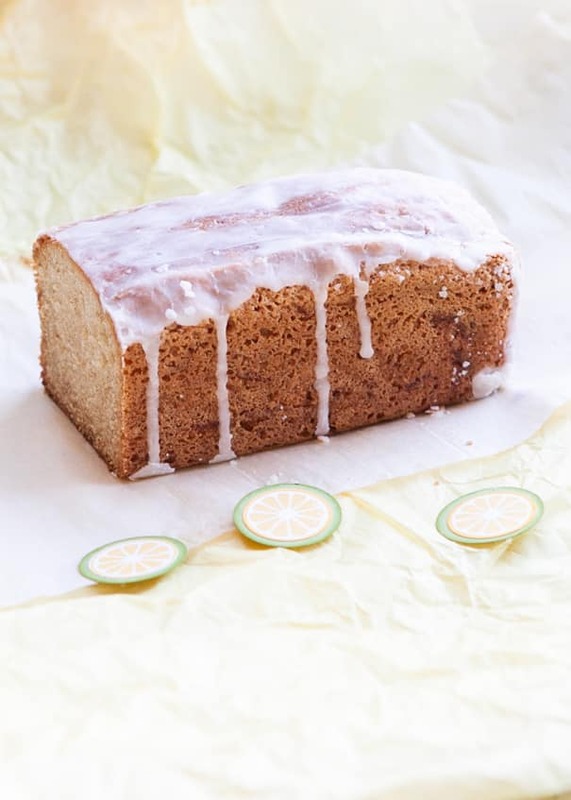 Oh my gosh, I cannot get enough zucchini bread OR lemon … this stuff looks like my heaven. 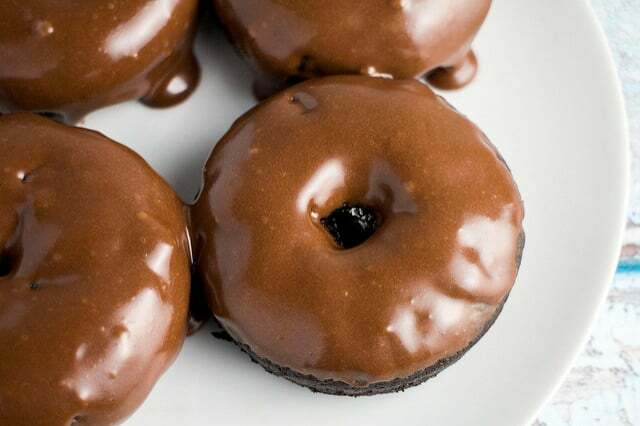 That glaze is gorgeous, your pictures capturing that are amazing. Pinned! Thanks Mary Frances! It really is one of the best breads I have tasted! Oh my gosh!!! BEAUTIFUL packaging, and that glaze is heavenly! Wow! The packaging looks lovely and the bread looks pretty and delicious – YUM! Both are so great, aren’t they? Thanks for stopping by! I don’t think that bread would have lasted long at our house either! It sounds devine and the wrapping WOW! I have had a couple of good swaps…but this bakin friends swap sounds AMAZING! Hope you join Shashi, it’s lots of fun! I know what you mean Kelly, it was hard to stop at just one slice of this bread! Everytime I read about this group on someone’s blog, I think it looks like so much fun! Love this lemon glazed zucchini bread and the beautiful packaging it came in. Must have been so fun to get this in the mail! It’s such a fun swap to be part of, especially the baking surprise ingredient! Thanks for stopping by! I just love anything topped with a glaze like that! So fun to receive a yummy and gorgeous package! Glad you joined our group! Me too Alex, the glaze was too delicious! This look so delicious! And the packaging really is beautiful! This swap sounds so fun. Thanks for sharing! Thanks for stopping by Ada! Zucchini is one of the ways to my heart, and with lemon glaze, forget about it! I would have loved to swapped something to get this, and the packaging is to die for. Maybe I’ll join Bakin’ Friends one day. I’ve heard about it and it sounds like a lot of fun. Homemade gifts are the very best kind. Hope you join Marcie, it really is a fun and yummy swap! I love zucchini anything. I can’t believe I haven’t had a single zucchini all summer. I know what I’m keeping my eyes open for at market this weekend. This swap is such a great idea! I envy you, especially after seeing the gorgeous treats you receive! It’s such a fun idea, plus I can never say no to yummy baked goods. It was such a fun swap this time! Isn’t the packaging just the prettiest? What a lovely loaf of bread and package! How nice! 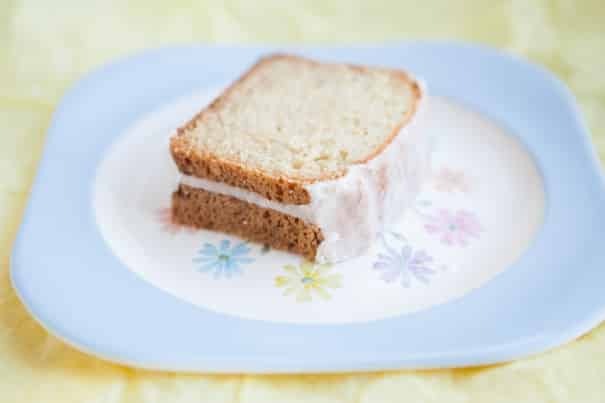 I like this change-up to the traditional zucchini bread. It sure was a sweet package Amy! I am absolutely blow away by the packaging. I have to look into this. The bread looks every bit as good as you described it Pamela. So glad this swap this is working for you. Shanna, thanks again for all the delicious smiles you caused! I’ve never had zucchini bread, but I feel like it’s time to change that. Love the addition of lemon! The lemon is such a great addition, for me it really makes this bread special! the packaging does look amazing! Ahhh yum baking friends sounds awesome. FOOD IN THE POST!? Is there a better package than that?! YUM! I’m glad this food swap is going better for you. Zucchini bread is always a winner. The glaze is delicious Jocelyn! Enjoy! What a gorgeous loaf of bread! Lemon always brightens everything up and I do love the pretty packaging, what a fun swap! Thanks for linking up with What’s Cookin’ Wednesday! Thanks for stopping by Karly! What a beautiful loaf of zucchini bread! It looks more like a teacake and I agree…the lemon glaze must really make it. It looks scrumptious! And, that pretty packaging? The cherry on top! So glad you’re enjoying Bakin’ Friends. I would join if I wasn’t trying to keep up with my blog while writing a cookbook. Thanks for sharing, girl! 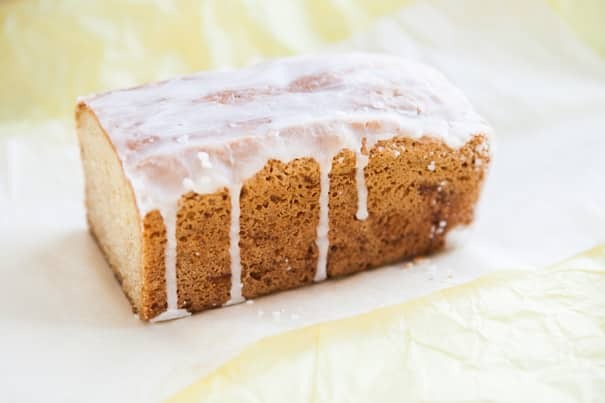 Did any one try this lemon glaze as the recipe stated? Could there be a mistake in the amount of lemon juice. Was so dry it wouldn’t spread nor drizzle. I add 1teaspoon of milk and 1/2 teaspoon of vanilla and is great. Hey Stacy, if it’s too dry, I suggest giving it a splash of milk! Hope you enjoyed this recipe! Was just browsing for ways to fix all that lovely zucchini I love so much. Hope you enjoy this bread Rebecca! It’s one of my favorites!